Floor trim went in, my DIY crystal chandelier went up, my DIY window treatment went up, I accessorized, hung pretty hooks, and here is the finished product! Oooo, I love it! It actually holds most of the stuff from the dressing room. 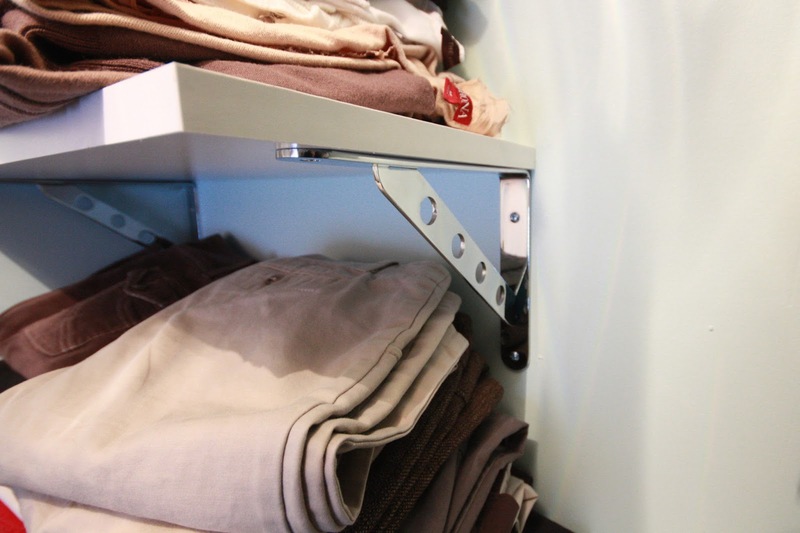 There is a lot of hanging and folded clothes storage in this 4x5 space. It all came together exactly as I thought it would! Here are some details from my fabulous little space. 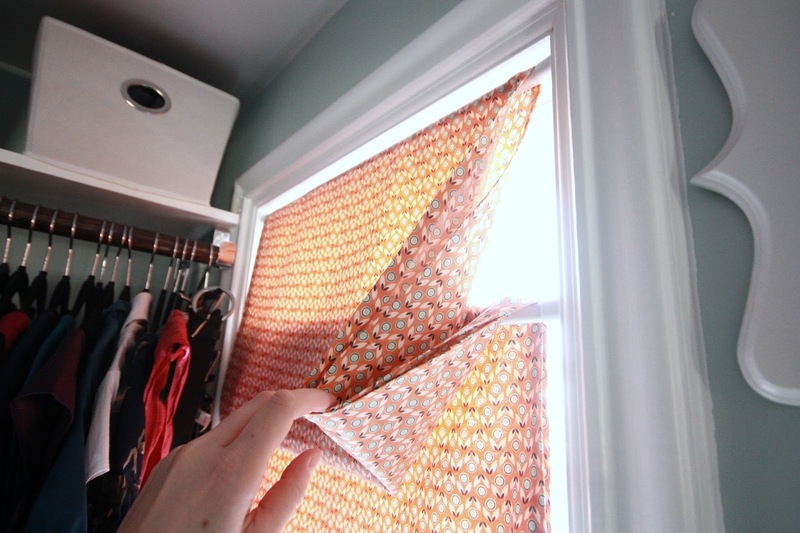 This DIY Faux window shade was so easy! The chrome rod/shelf supports are from Closetbay.com, I got three for each rod to avoid sagging. They are shiny and fabulous! The white laminate shelves are from Menards and Home Depot. The small chrome self supports are also from Closetbay, and came two per pack which was a great price! The rod and shelf supports come out exactly to the depth of the window trim, so it all worked out perfectly. 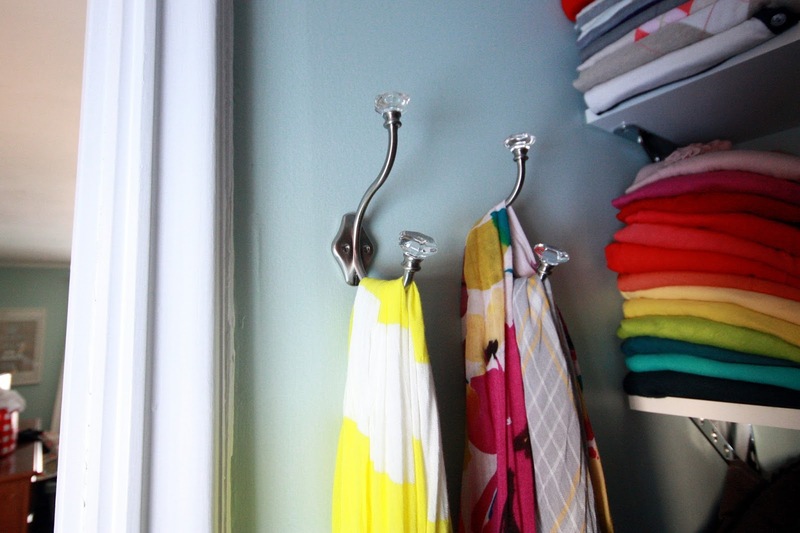 I used my signature stained wood closet rods in here, of course! 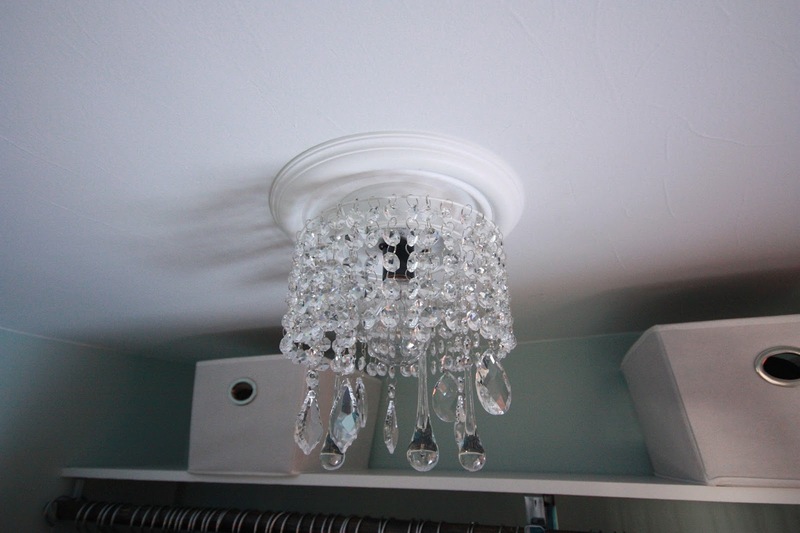 My crystal chandelier, which will be shared as a separate post. It was so worth doing myself instead of buying a fixture! My favorite crystal hooks from the Home Depot...fun fact, the wall anchors in this wall just kept falling back into the framing because whoever drywalled this room used the thinnest crap drywall ever. Needless to say, all the shelf supports are in studs! 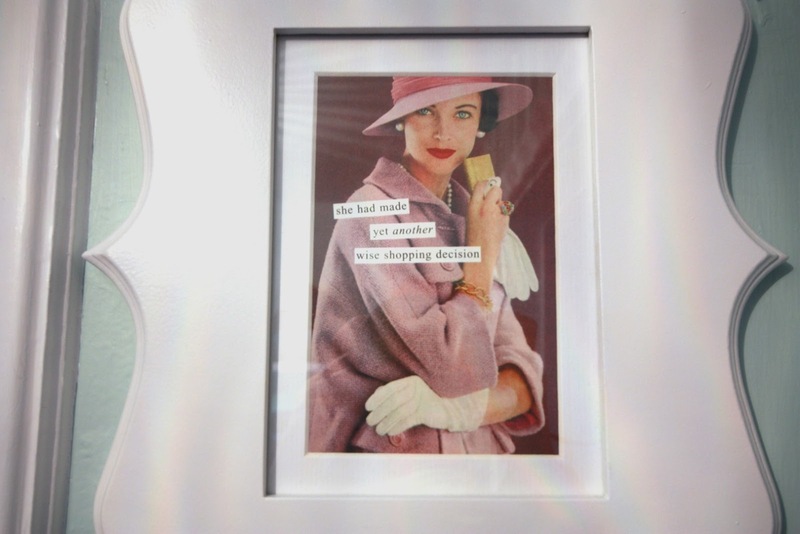 When I saw this funny postcard I had laying around the house, I knew I had to find a pretty frame to hang it up in this closet. 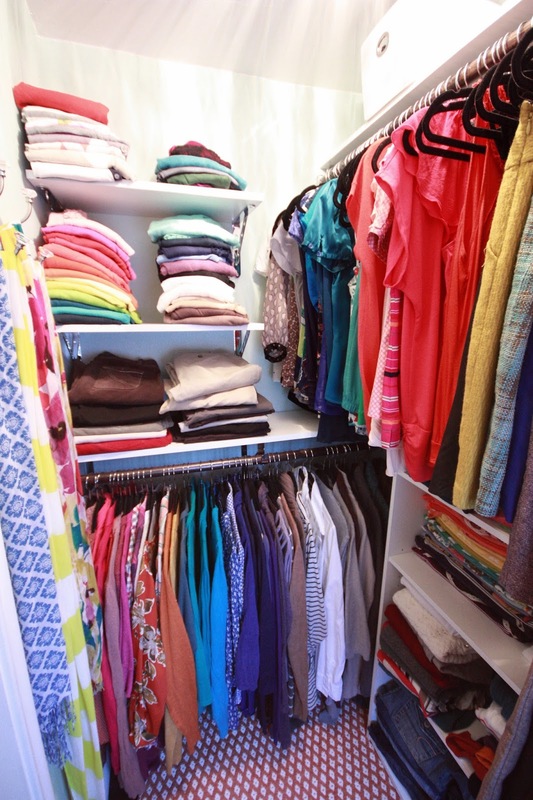 I hope potential buyers find it funny when they see how my clothes take over just about every closet in our house! 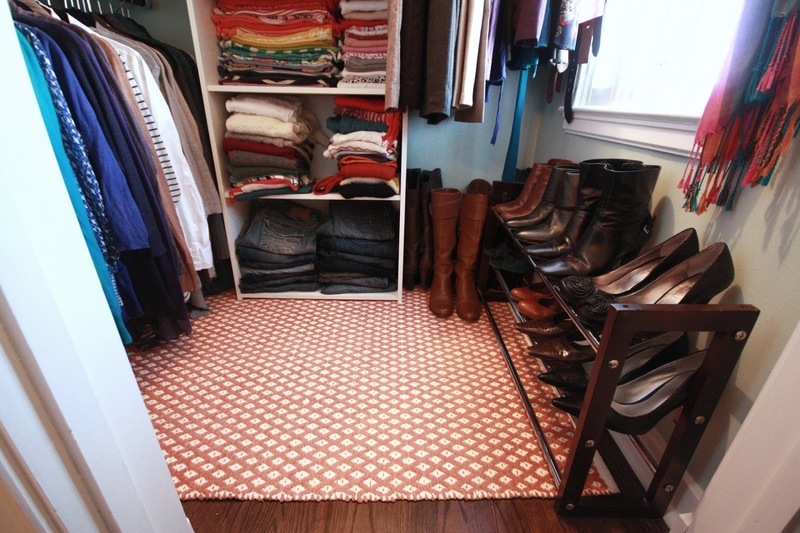 The gorgeous hand loomed cotton rug is from Overstock, I love it. It is a good complement to the orange Moroccan tile rug in the bedroom, without being too matchy. The shoe rack was dug out of storage, and the white storage unit for my sweaters and jeans was a cheapo Room Essentials bookcase from Target. I also added a little clasp for the original window shutter to keep it closed, it was brass and I sprayed it white. The little white cloth bins I found at Shopko for $5 each, what a steal! I have all my tights and dress socks in those. So, that is the new closet. 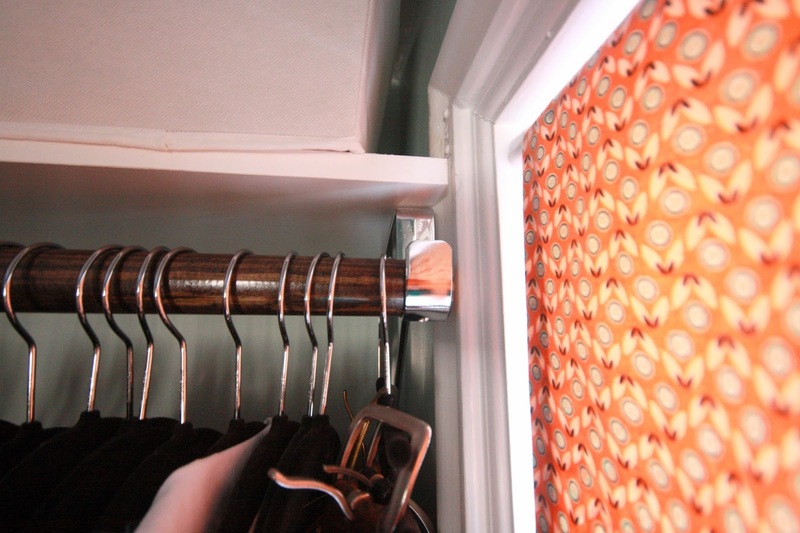 The incredibly hard to photograph closet. What do you think? Is it worthy of taking over the duties of the dressing room? I always love see posts from you and miss your regular blogging. Oh well, life. 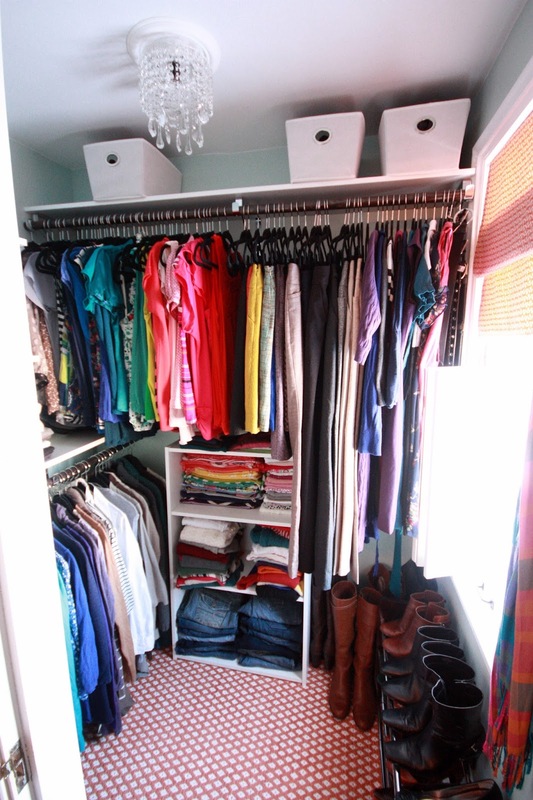 Clean the closet is on my to do list and it is about the same size so this gives me inspiration. Hope the house sells soon! Gorgeous!! And now you have that extra bedroom back, which I'm sure will help for re-sale. It depends on a lot of other factors of course, as you know, but even if you don't recoup all of your money from the renovations, they will help it sell that much faster. Just the fact that you've put so much work into it will show buyers that the home has been cared for. Best of luck! Can't wait to see where your new adventure takes you! it looks great! and so colorful! This looks amazing! It has so much more space than when it was empty. Oh, the power of organizing. This looks awesome! You really made the most of every single inch. And you have tons of great storage, now. I love the postcard, too! 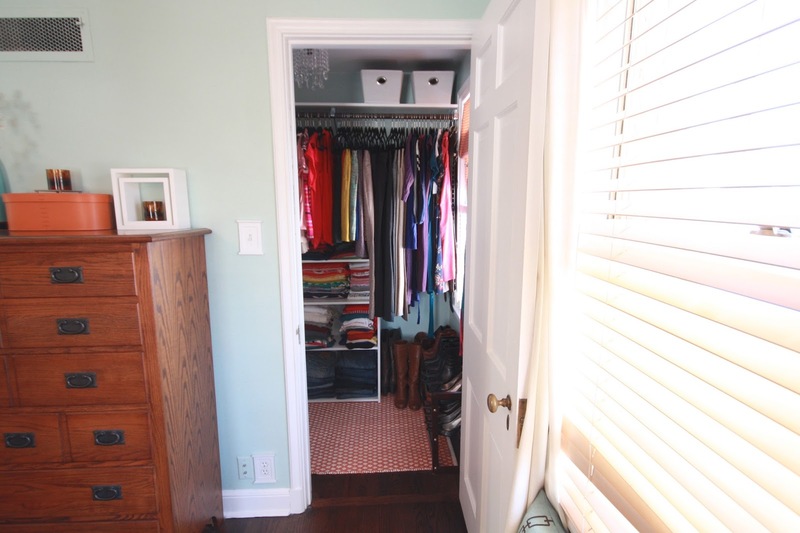 Love the closet makeover and all the colorful tops you have! 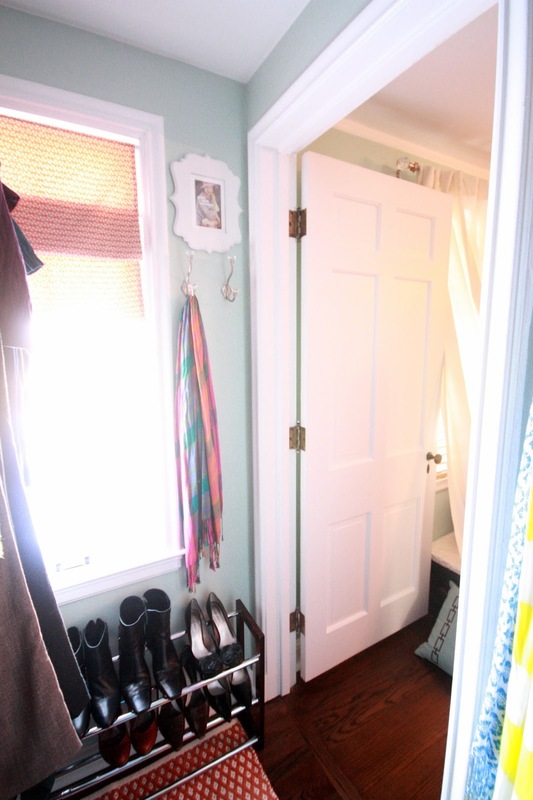 One detail I think missing would be a tall white mirror ($10 at Target)drilled into the door so when getting dressed you can see your outfit full body right away. I'm pretty sure I'd ask that the funny frame and postcard be added to the sale of the house.